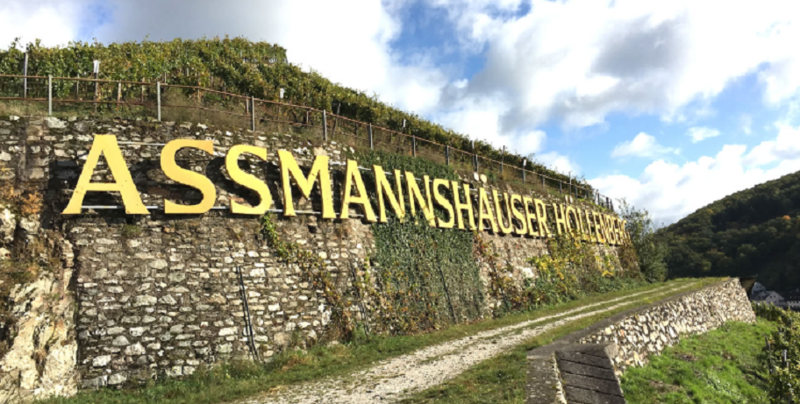 Single location in the community Assmannshausen (District of Rüdesheim) in the German wine-growing region Rheingau, The name does not derive from the place of horror, but from the Old High German "hero" for heap or steep slope. It is documentary evidence that here at least since 1470, the variety Pinot Noir was grown. In 1814, on the occasion of his trip to the Rhine, wine connoisseur Johann Wolfgang von Goethe (1749-1832) the Höllenberg red wine praised in the highest tones. This page was last modified at 20 April 2018 at 12:55.